The usual lists of “the best” luxury hotels here can be problematic though because the best ones have very different personalities. If someone in a dark banker’s suit shows up at Condesa DF, that will really puzzle the front desk. If someone with ripped jeans and 20 piercings shows up at the Four Seasons, it’ll inspire the same furrowed brows—no matter who daddy is and how rich he may be. So here are the top hotels sorted by who should put it at the top of their list. Las Alcobas luxury boutique hotel opened at the beginning of this decade and has been delighting picky guests ever since with its tricked-out rooms that actually function properly, complete with Bose stereo systems and a bedside control panel that works lights, curtains, and sound. Wi-fi is complimentary, as are snacks and drinks in the minibar. A personal concierge attends to your needs and those who really need to be discreet can rent a penthouse with a private elevator from the parking garage. The gorgeous interiors attract the designer set and with two of the best restaurants in the city located here (Dulce Patria and Anatol), it’s a foodie magnet as well. 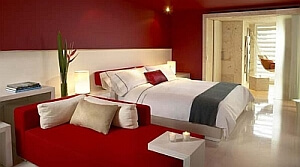 See a full review here and book at the Las Alcobas site or at Hotels.com. For business execs with “C” or “VP” in their title and powerful politicians, the Four Seasons in Mexico City is the default choice, just as it was when they booked 10 years ago. It’s hard to top this hotel’s mix of security combined with flawless service. The staffers speak multiple languages, they bring you things you need before you even realize you need them, and the courtyard with manicured plants and a fountain is one of the city’s loveliest places to escape the urban bustle. Two downsides right now are temporary: the traditional rooms could use some pizazz (a floor by floor renovation is happening this year) and the bank tower going up next door creates a lot of banging noise (they’re on pace to finish the main construction by mid-2014). We keep waiting for Four Seasons to drop their hefty Wi-Fi charges too. But if you have clients to impress or want the most prestigious place to meet for lunch, the Four Seasons is the place. Book at the main website or check rates here. The main competition for the Four Seasons is this much newer 184-room hotel with 35 suites that rises in curvy steel and glass a few blocks down on Paseo de la Reforma. The contemporary take on mid-century modern design comes from the same firm that did Las Alcobas’ interiors and it certainly doesn’t look like a standard business chain hotel. You won’t find many with their own heliport either, like you have here on the roof. Spacious rooms come with plenty of gadgets and goodies, including a TV embedded in the bathroom mirror. 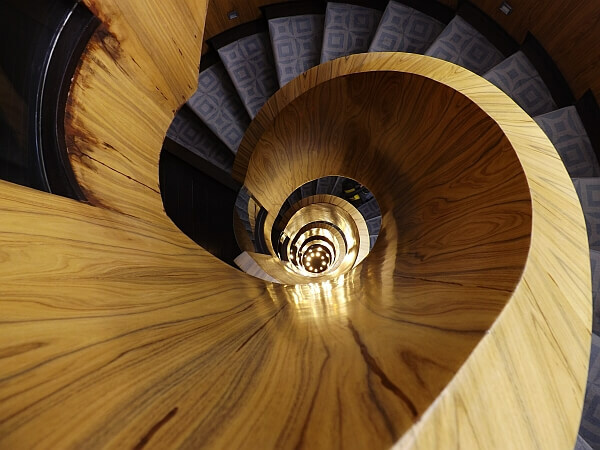 Each floor has its own butler and facilities are extensive here, including a full spa and indoor swimming pool. You get robes and slippers, but you have to cough up $15 to access the web from your room. See a detailed review and more photos here. Book directly with St. Regis or check rates online here. 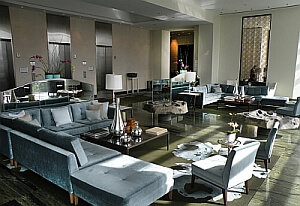 If you idea of luxury is big rooms and fawning staffers, this is probably not your place. But for those who like hip design, cool cocktails, and a sense that they have stepped into Wallpaper magazine, this trendy hotel in the pedestrian-friendly Condesa neighborhood is the clear winner. Whimsical touches abound (like a VW van parked outside with a colored light show going on inside) and the rooftop bar and sushi spot stays at the top of the “cool places to hang out” nightspot list. It is better suited for night owls and the work hard play hard crowd than early birds with early meetings. For those who love attentive design touches and interesting food and drinks, however, this is the city’s top choice. 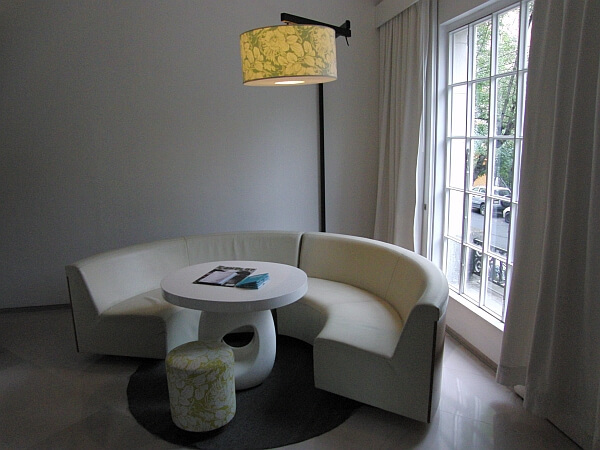 See a detailed Condesa DF review here and book online with the Habita Group or at Priceline. There are other top hotels in D.F., of course, including two top business hotels located a block from each other on Chapultapec Park, by Polanco. The JW Marriott is the best choice for buttoned-up executives who want to know they’ll have a good working space and no language barriers ever. This was originally designed as Mandarin Oriental, so it’s a bit less predictable than your usual Marriott and the club level here has its own first-floor entrance and elevators. The W Hotel Mexico City naturally appeals to a less conservative crowd. Rooms are bright and playful, most of them 450 square feet or more. (Some have a hammock to swing on even.) Staffers are cool and ready to put on a hipster performance. The lounge that dominates the first floor is a local hotspot and pulses into the wee hours. There’s a 24-hour fitness center with a trainer of course in this hotel where the unkempt and paunchy are not expected to apply. With 237 rooms to fill, deals often abound here. Check rates with Starwood or Priceline. Mexico City round-up by Tim Leffel, who has been hosted over the years at three of the hotels covered here while writing articles for other publications. For more on D.F., see the Mexico Tourism section in English. It’s funny that both the video thumbnails are staircases. Did you plan it that way? Apparently a nice set of stairs helps the star rating eh? That St. Regis always has availability when I try to book with Starwood points and sometimes they’re running specials on the weekend. It’s a terrific hotel and since I speak about 10 words of Spanish, I’m glad I’m there because the front desk people are really fluent. In the gym too.